A veil of fresh, sheer color in a lightweight oil. Blends seamlessly. Hides imperfections. Unique light-enhancing pigments create a sheer, even complexion. Super lightweight oils, native to the Mediterranean region and eastern Africa, nourish skin powered by RES technology to help promote skin cell turnover to reveal smoother, softer skin. I was looking for a lighter option to my normal foundation and came across a review for this. I decided to go for it and I am blown away. It cover all my imperfections and evens out my skin tone. It is super lightweight and my skin feels so soft due to it being an oil. 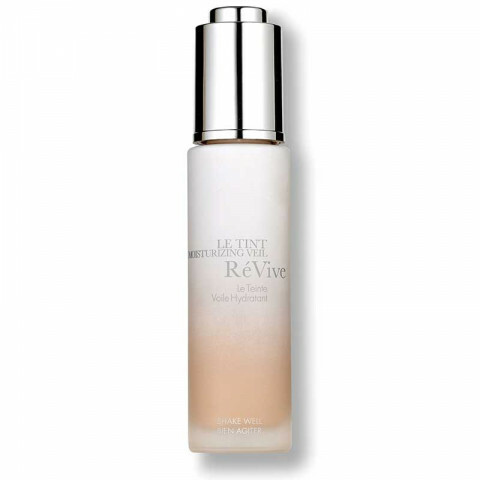 It is the perfect hybrid of an oil and tinted moisturizer. I hope they never discontinue this product. I love it!